ARES PRISM is an award-winning enterprise project controls software that oversees the complete project management life cycle– delivering dependable forecasts, cost control, and performance measurement. 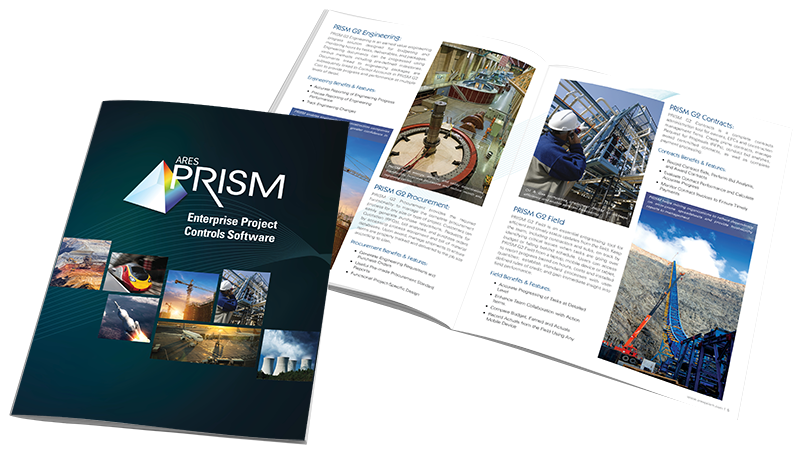 Organizations around the world rely on PRISM software to manage projects, programs and portfolios of growing size and complexity in a variety of industries. PRISM is a scalable, robust and intuitive system that harnesses industry best practices and integrates all aspects of the project, including cost and schedule, change management, estimating, earned value, contracts & procurement, and field progressing. PRISM helps project managers and their teams achieve superior project management with increased visibility and control, boosted accuracy and efficiency, and improved financial performance. Why Choose ARES PRISM as your Project Management Software Solution? Avoid budget overruns and delays by using PRISM to effectively monitor the important aspects of the project. Make use of the comprehensive set of features in order to take advantage of the software quickly. Standardize project performance measurement techniques across projects to allow program/portfolio roll-ups and analysis. Gain visibility into project execution and performance through dashboards. Track expenditures or calculate forecasts without having rely on a series of spreadsheets. PRISM has processes that help collect, analyze and report information regarding the measurement of performance by component, project, group, organization, system, program or portfolio. We are the most robust project management software on the market, and we aim to keep it that way. We know what the industry demands and needs are for PM software because ARES PRISM was built for our own team to assist them in delivering innovative technical and project management solutions. PRISM is installed and staff commences training. Once project data is cleaned, it is loaded manually through imports. Staff begins to analyze the project data with PRISM. Business processes are blended with project controls best practices. Meaningful reports are produced and data is published to the Dashboard. PRISM provides users with the ability to manage demanding complex projects easily and take mundane less complex tasks to a higher level. PRISM accelerates user buy in and company ROI. PRISM is available as a cloud, web-based operation or as a client, server-based technology. So whether you need a cloud-hosted setup of PRISM, or for it to be installed on specific machines, we are ready for your implementation needs.